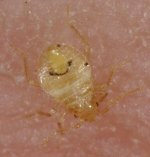 The contents of the BedBug-Answers.com website and blog are written and edited by Melanie Monzon, along with other site users, and guest bloggers from time to time. This website/blog abides by word of mouth marketing standards. I believe in honesty of relationship, opinion and identity. This site derives revenue from 3rd party ads and affiliate links to other sites. The compensation I receive as an affiliate marketer will not influence the content, topics or posts made in this website/blog. I am not compensated to post or to provide opinion on products, services, websites and/or various other topics. The views and opinions expressed on this website/blog are purely my own or that of guest bloggers and other users of the site. Receipt of any gifts (i.e. free samples) which might influence a review or opinion will be explicitly disclosed. Any content which might present a conflict of interest will be clearly identified. All advertising that is in the form of advertisements generated by a third party ad network (i.e. Google AdSense) will be identified as paid advertisements or sponsored content. The content of such advertisements cannot be adequately screened and do not represent an endorsement of any kind. Below is an example of a third-party ad. If I claim or appear to be an expert on a certain topic or product or service area, I will only endorse products or services that I believe, based on my expertise and or reasonable judgment, are worthy of such endorsement. I always give my honest opinions, findings, beliefs, or experiences about those topics or products. Any product claim, statistic, quote or other representation about a product or service or third party should be verified with the manufacturer, provider or party in question. If you still have questions about the site or its policies, please contact me. IMPORTANT NOTE FOR CONTENT POSTERS, FORUM USERS AND COMMENT POSTERS: If you post content to the user content pages or make comments on any of the pages, please be advised that the FTC (Federal Trade Commission) now requires all persons posting on the internet to disclose relationships if they are in any way compensated (including gifts/free products) for what they say about a product or service. For more information, please review this update at the FTC.